According to Georgetown University Center on Education and Workforce, professional certifications are the second most common post-secondary award in the United States. Over one million certifications are awarded each year. One-third of certificate holders also have an associate, bachelor’s or graduate degree. One driver is the reported shortage of skilled workers. Corporations are responding to this shortage by certifying their employees, suppliers, and after-market partners as a way to recruit, develop, and identify qualified workers across their supply chain. Trade associations are developing micro-credentials and certifications to provide career ladders to new recruits. In the process corporations and trade associations are challenging certification industry accreditation standards, especially the separation of training and assessment. They are also experimenting with innovative assessment methods including performance-based and serious games. Join our speaker to find out more and get examples of how credentials are being used to address a shortage in skilled workers. Judith Hale, Ph.D., CPT, CACP, CIDD is the author of nine books on measurement and performance improvement including the award winning Performance-Based Certification: How to Design a Valid, Cost-effective, and Defensible Program, published by Wiley. She has been a consultant to management in the public and private sectors for more than 30 years specializing in credentialing programs for corporations and professional and trade associations. Her clients’ credentials are used in more than 90 countries, are based on universal standards that transcend borders, comply with Plain Language and Global English Standards, are evidence-based, and demonstrate external integrity. Her firm also offers two performance-based credentials, the Certified Assessment and Credentialing Professional (CACP) and the Certified Instructional Designer Developer (CIDD). 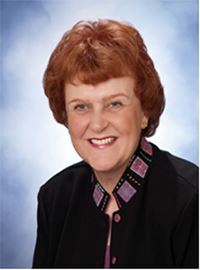 Judy was past president of the International Board of Standards for Training, Performance and Instruction (IBSTPI) and the International Society for Performance Improvement (ISPI). She is the former director of ISPI’s CPT certification. Judith was awarded a B.A. from Ohio State University, a M.A. from Miami University, and a Ph.D. from Purdue University.